Andrew L. McKay concentrates his practice in trusts and estates matters, with a focus on planning for individuals and families, and the administration of estates and trusts. Andrew has drafted a wide variety of estate planning documents to help individuals and families implement their unique wealth transfer, business succession and charitable goals and has handled all aspects of trust and estate administration, including filing estate and gift tax returns and filing probate petitions. 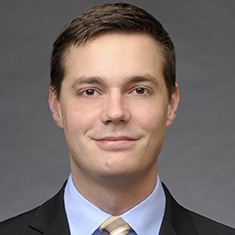 During law school, Andrew was a senior editor for the Journal of International Law & Business, participated in the Children and Family Justice Center legal clinic and served as an extern for the Honorable Joan H. Lefkow of the US District Court for the Northern District of Illinois.